Funds for Mechanization: Saying that she has been pushing for mechanization to spur the growth of the agri sector, reelectionist Senator Cynthia lauded sugar farmers in Magallanes, Cavite, for adopting mechanization in the production of muscovado sugar. The senator, chair of the Senate committee on agriculture and food, has been finding ways to boost the earnings of our farmers to improve their lives. 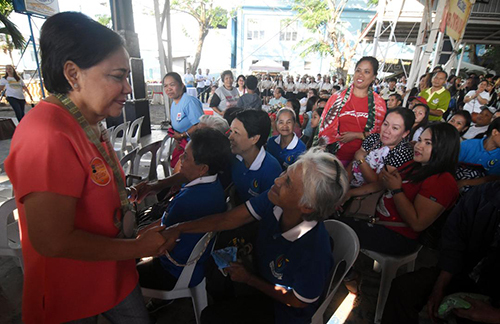 Known as Misis Hanepbuhay, Villar commits to continue her programs to help farmers and fisherfolks to ensure sufficient food supply to all Filipinos.